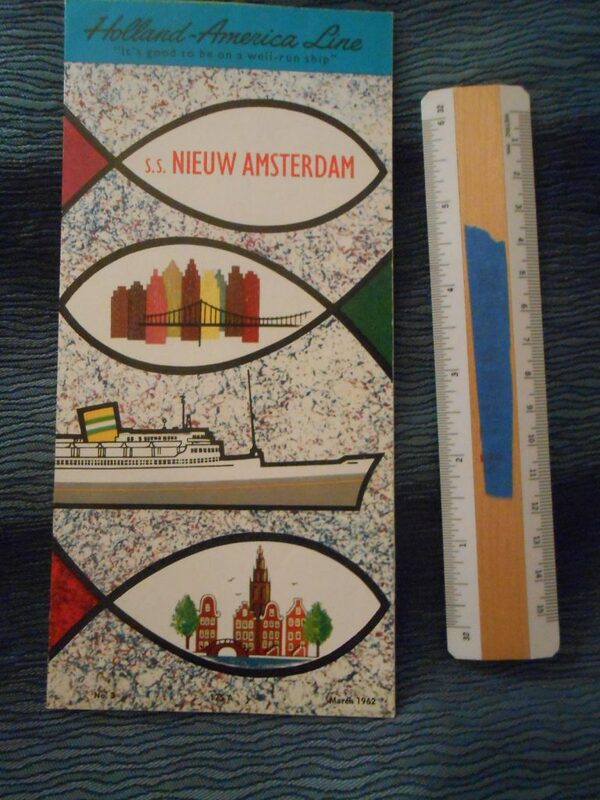 Great little fold out brochure showing off the interiors of the "darling of the Dutch" Nieuw Amsterdam. Just a splendid little fold out with lots of pictures .... for a splendid little ship! Excellent condition and dates to the early 60's.